We are based in Claremorris, Co. Mayo (see the map below for the exact location). We, therefore, focus our operation on the West of Ireland i.e. Co. Galway, Mayo, Roscommon covering the towns of : Achill, Aghagower, Ardagh, Athenry, Athenry, Athleague, Athlone, Balinrobe, Ballaghaderreen Ballina, Ballinasloe, Ballintober, Ballycastle, Ballyhaunis, Ballymahon, Ballymote, Ballysadare, Ballyshannon, Bangor, Belmullet, Black Sod, Bohola, Boyle, Bundoran, Carrick-on-shannon, Castlebar, Castlerea, Charlestown, Claregalway, Claremorris, Clifden, Clonbur, Collooney, Cong, Cornamona, Corrafin, Craughwell, Crossmolina, Drumcliff, Drumshanbo Dunmore, Edgeworthstown, Enniscrone, Erris, Foxford, Galway, Grange, Headford, Headford, Kilkelly, Killala, Kilmane, Kiltimagh, Knock, Leenaun, Longford, Loughrea, Louisburgh, Manorhamilton, Maum, Milltown, Mohil, Mount Bellew, Mount Temple, Moycullen, Moylough, Mullaghmore, Mulranny, Newport, Oranmore, Oughterard, Pontoon, Roosky, Roscommon, Rosses Point, Rossnowlagh, Roundford, Shrule, Sligo, Strade, Strandhill, Strokestown, Swinford, Toureen, Tourmakeady, Tuam, Tubbercurry, Tully Cross, Turloughmore and Westport. However, distance is not a problem providing you select our more modern cars, rather than a 100 years old Rolls Royce. 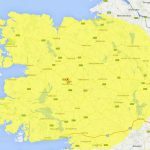 We have been known to travel as far as Longford, Donegal, Leitrim, Offaly, Westmeath, Co. Clare and even Cork.